At Vortez we continuously assess our review procedures – polishing where they’re good, correcting where greater work is necessary, and revising more ruthlessly if it’s just not up to scratch. That process has been helpfully aided by feedback provided by you, our readers (for which we’ll never not be grateful, even when it makes for uncomfortable reading). 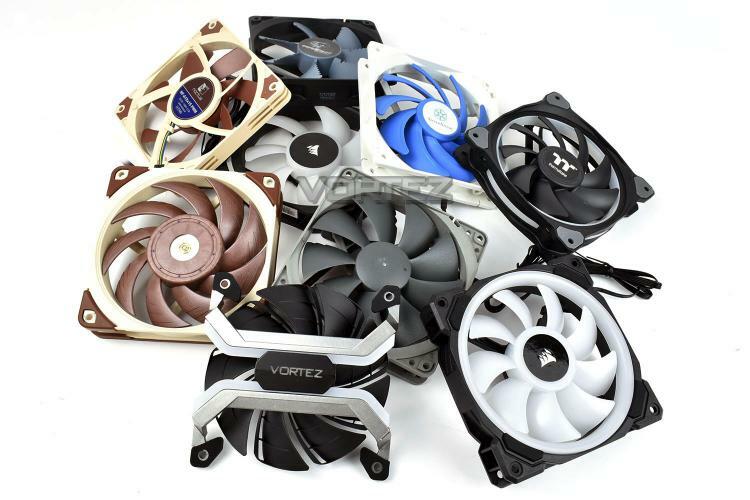 In particular, over the past year we’ve revamped the way we’re going cooling fan reviews, and wanted to take a moment to highlight these workhorse components for a little more time in the limelight. Our cooling fan reviews today offer an insight into the three core areas of cooling fan design in this era of computing: acoustics, thermals and aesthetics. Photography and low-light videos let you see how they look in-situ, while consistent thermal and acoustic measurements at both 1000RPM and Maximum thresholds are able to give you a more complete picture than before at their relative pros and cons. Where sensible, we also test both as case exhaust fans and radiator fans, coupled to a Corsair Graphite 760T enclosure and H100i Pro RGB respectively. This, we judge, is more representative than any open-bench test. Of course, helping us to provide early reviews (often on day one of launch) have been the fan manufacturers themselves. Not only have they been forthcoming with the early review samples which are the lifeblood of the launch-day review, but in many cases also a direct line to support and engineers for the (thankfully exceptionally rare) instances that something isn’t quite right. From Corsair we’ve looked at both the LL120 RGB and ML120 Pro RGB. The former is named for the ‘Light Loop’, an aesthetic choice that’s far more striking than you might expect, while the latter users ‘magnetic levitation’ bearing technology and other features for low-noise operation. Although established members of the Corsair lineup, both were revamped to incorporate RGB lighting and support for Corsairs control system much like the chassis, peripheral and memory range. Noctua have also busy, and supplied us with the NFP12 Redux and A12x25 Redux. 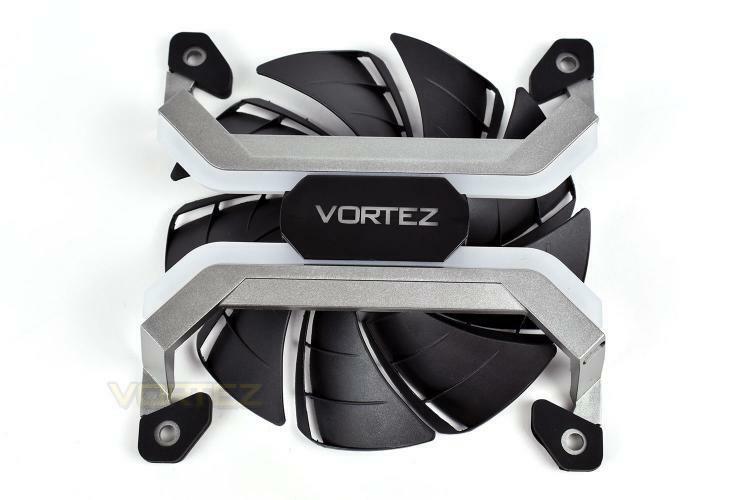 As their name suggests, they were part of Noctua’s 2018 refresh of their fan range, incorporating new tweaks to blade and frame for high performance. It’s fair to say that Noctua’s fan range is rarely that attractive, but they don’t give an inch when it comes to performance. DeepCool are lesser-known, but nonetheless a manufacturer to be respected. This year the team behind the GamerStorm brand supplied us with some stunning custom open-frame MF120 RGB fans. They certainly looked the part. 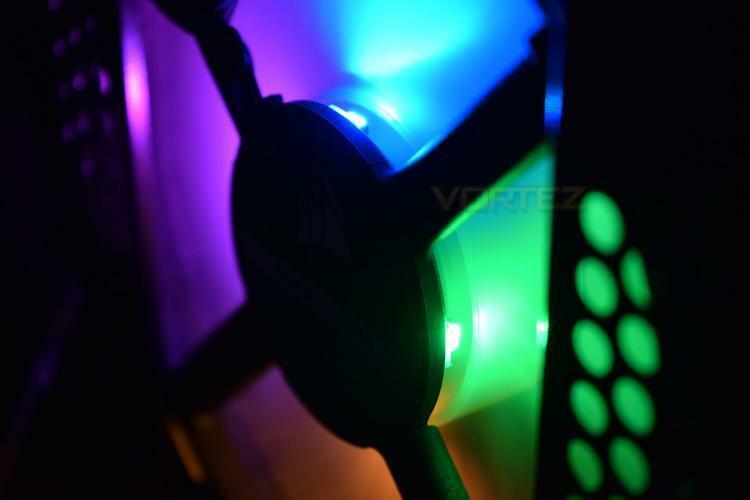 And last we come to Thermaltake’s Riing Plus 12 TT Premium Edition RGB Fan. Yes, it’s a mouthful, but true to its name it’s no shrinking violet. LEDs are bright, almost too bright, while the standard three-pack comes complete with a fan controller and software. So that’s a taste of where we are with fan reviews, and we’ve certainly been lucky to look at some cracking designs. Feel free to let us know your thoughts in the comments, especially if there’s any other aspect of day-to-day usage you’d like to see tested.